It is also a place that draws so many visitors from far and wide because of the number of different tourist attractions they have to offer here. There are a lot of things that play a part in an adventure to Australia, and you must be sure of where you can get full ‘Stralian experience. This means you need to plan your trip out in the best possible way and look at how you can improve the travel adventure. There are a lot of different ways to make the most of Australia, and you should do what you can to make the most of it. These are some of the best ways of exploring Australia in the best and most complete way you can. Use these great hacks to make the most of your journey and enjoy everything Oz has to offer. The Outback is perhaps the defining thing that sets Australia apart from so many other countries in the world. This amazing, beautiful, and lesser-explored part of the country is somewhere that attracts tourists every year. 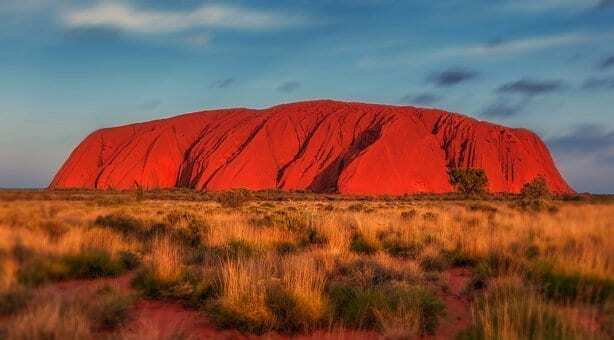 Delving into the red centre of Australia is the best way to get a feel for the wild outdoors here, and this is something that you need to sort out in the best way you possibly can. There are some truly stunning areas of Australia, and one of the best ways of exploring them is to make sure you take an island tour. There are so many island tours here, like ones that embark from Rainbow Beach, and help you to see the more unique places of Australia. These are the sorts of tours you need to make the most of because they can reveal hidden parts of the country that you never even knew about going forward. There are a lot of beaches in and around Australia that you need to make sure you check out. A country this magnificent and sunny absolutely needs to be enjoyed on the beach. There’s a lot of choices you can make when you’re trying to choose the right sort of beach to explore, and options like Bondi Beach, Wineglass Bay, and the Whitsunday Islands are the ideal places to start. If you want to get the true feel for Australia you need to make sure you check out a more stripped back version, and this means going backpacking. There are a lot of things to consider when you want to backpack. For one thing, you need to plan your route carefully, as well as knowing how much money to take and what provisions to carry. Make sure you are safe and sensible so that you can get the best out of this experience. As you can see, there is a lot to keep in mind here, and it can make a big difference when you look at how you can explore Australia. There are a lot of things that can help you when it comes to having the perfect adventure. The more you can do to make this right, the more complete an experience you will have.